Dr Cara graduated from UCT in 2010, and spent her 2 years of internship at the Pietermaritzburg Hospital Complex. She returned to Cape Town in 2013 to complete her community service year in Khayelitsha, and remained at the Khayelitsha District Hospital as a locum in their Emergency Centre for 2014. During this time, she also spent numerous hours assisting plastic surgeons in theatre, and discovered a passion for aesthetic medicine. In order to pursue this, she decided to travel to London’s Harley Street for training in non-invasive aesthetic medical techniques. On her return to Cape Town she completed further training courses and finally decided to join her father in his practice in Claremont offering non-invasive medical aesthetic procedures only. 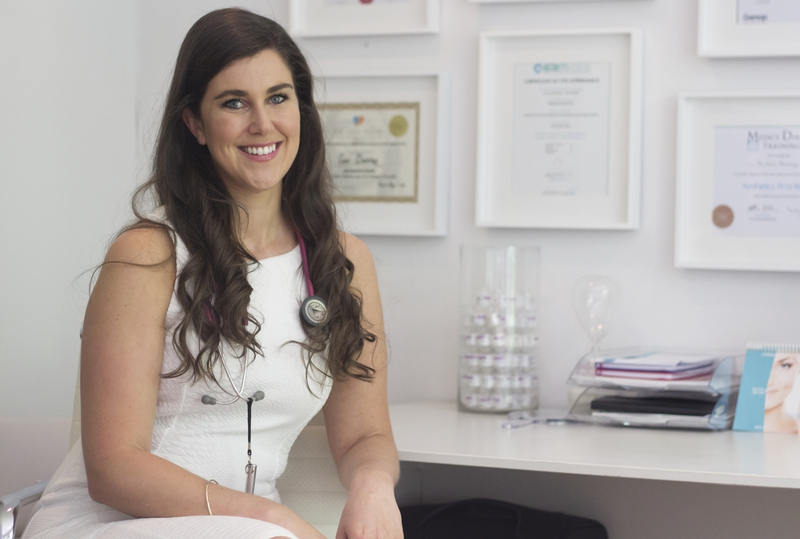 Dr Cara is passionate about medical aesthetics, and keeps up to date with the latest techniques and technologies by attending both local and international congresses whenever her schedule allows. Sally joined Cape Aesthetics in 2017 with over 11 years of industry knowledge, having worked at Chelsea Aesthetic Centre for 5 years before joining local skincare brand Lamelle Research Laboratories. At Lamelle, Sally worked as the brand representative for the Western Cape, with a strong focus on the training of skincare therapists as well as the retail product environment. From 2014 to 2016 Sally invested time in another passion of hers: healthy eating. She ran a successful small business providing healthy lunches to corporates, as well as offering her food at markets around Cape Town. Sally is Cape Aesthetics’ expert on all things skincare. Her focus is on skin peels, microneedling and giving patient skin care advice through consultation. Salomie is the ever-friendly voice on the phone when you call to make your appointments, and smiling face that greets you in our practice! A mother of 2, she spent some time living and working in New Zealand before settling in Simonstown. Salomie is passionate about her job and loves feeling like she is making a difference. She is a wealth of knowledge on most of the procedures we offer, and always does her best to accommodate our patients.